In an open office/cubicle environment? Ron Altiery (OIT CDSS) reminds us to screen-lock your computer and devices or log off when you know you’ll be away from your desk. Check out his full comment and other cubicle etiquette tips in this recent Duke Today Story. Want to make the most of Microsoft Word – check out these tips! TechTips: Is your device WebEx ready? Did you know you can go online to this URL https://www.webex.com/test-meeting.html to test WebEx on your device? Hosting a WebEx meeting? 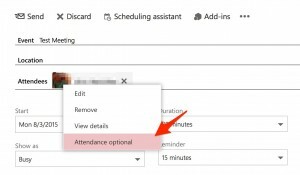 If there will be particpants that may never have used WebEx before, it’s a good idea for them to test their computer by sending the following link, http://www.webex.com/test-meeting.html, prior to the start of the meeting. This site launches a test meeting that tests the computers connection to WebEx. If there are issues, the attendee can follow the instructions on the webpage to troubleshoot, or contact Cisco for assistance. Duke Software Licensing recently announced that Duke has entered into an Enterprise Term License Agreement with Adobe, Inc. Read full details here. As part of this agreement, students can access Adobe software free of cost! Learn how by following the step-by-step directions below. 2. 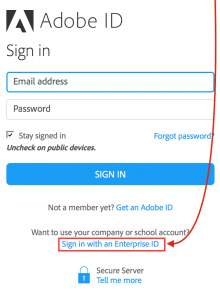 Click the sign in button (top right hand corner of the site) and an Adobe ID Sign in page will open. 3. 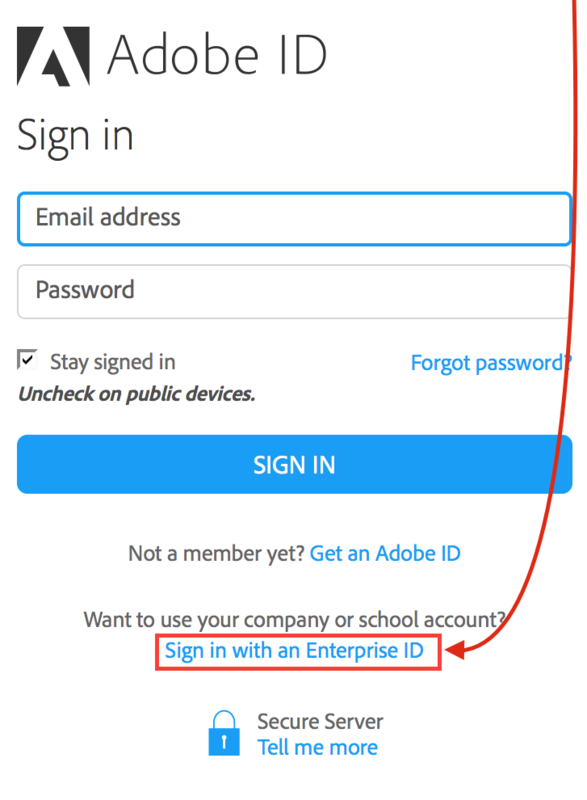 Select “Sign In with an Enterprise ID,” as shown below. 4. 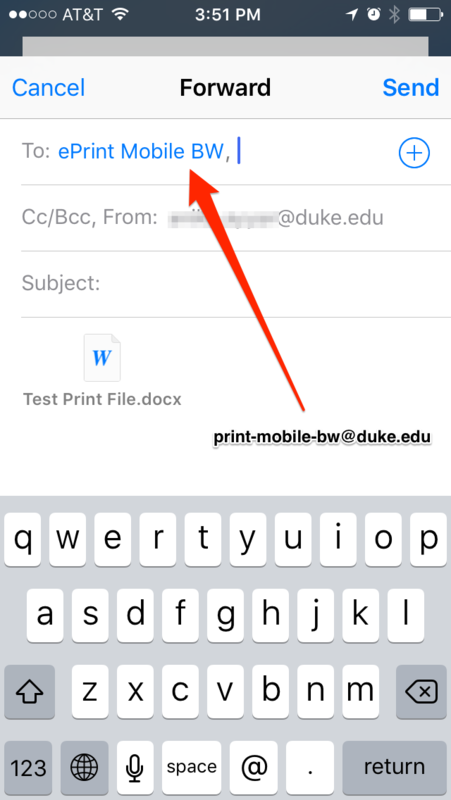 Once you are redirected to the Enterprise ID Sign in page, enter duke.edu into the “email address or domain name” box. Then, hit enter. Do not type in any password at this point. 5. 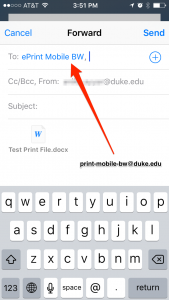 Click “Sign In” to be directed to the Duke Web Authentication page. Enter your Duke NetID and password, and click “enter”. This will redirect you to your Adobe Account. 6. 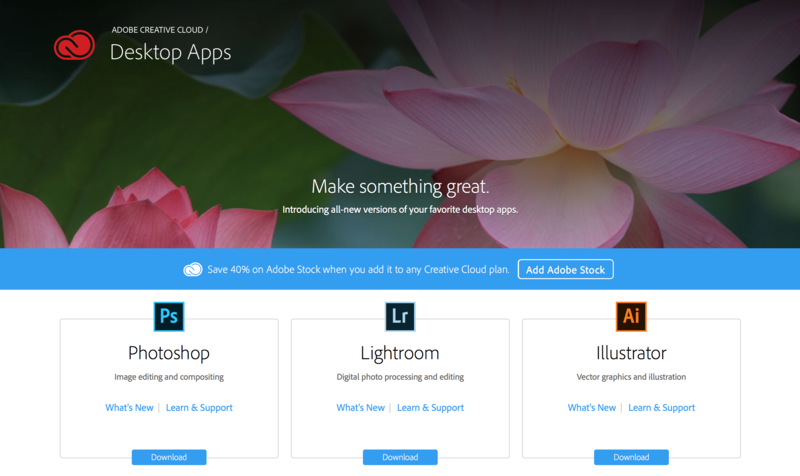 In order to download various Creative Cloud apps to your desktop, click on “Desktop Apps” in the left middle of the black box on the screen, and you will be redirected to the page below. 7, To download any of the available Creative Cloud desktop apps, click on the blue “download” button at the bottom of the specific app you want. The desktop download will begin, and you will be notified when your app is ready to use. Need help? Contact the OIT Service Desk. You probably know Control + C to copy and Control + V to paste but there’s a ton more on this Wikipedia Table of Shortcuts page. Thanks to Ben Shepard, Science & Society for this submission as part of the OIT Best Tech Tip Contest. Submit yours until the end of November. Check out this this Ted Talk Video (5:44) for some cool top time saving tech tips including shortcuts for scrolling in your a web browser, recalling the last called number from your cell phone, turning your slide show black or white while presenting and more.. Thanks to Heather Mabry, an Application Analyst at DHTS, for this submission. 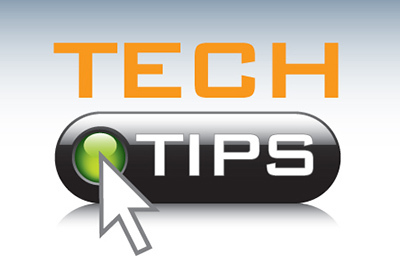 Submit yours until the end of November as part of the OIT Best Tech Tip Contest. 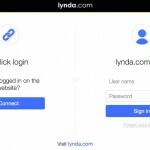 lynda.com recently announced a new feature that allows individuals to download videos onto their computer or mobile devices (both Android and iOS) to allow you to view tutorials when you are not connected to the Internet. This ‘View Offline’ feature is available for Duke users through Duke’s lynda.com account and is especially useful for those who may have long commutes or times where you have poor or no internet connection (e.g. in the airport or traveling). Now you can really use lynda.com anywhere, anytime! Follow the steps below or visit http://www.lynda.com/downloadfallback to learn how. Download the lynda Desktop App (http://www.lynda.com/apps/desktop-app) NOTE: You will need Administrative access to your computer or device to install this app. Launch the App and log in, while still connected to the internet. 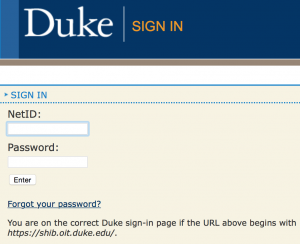 NOTE: Duke Users need to sign in via Duke Shibboleth to have full access to the library. 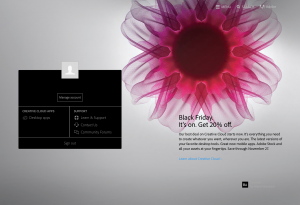 Connect via the 1 Click login button. 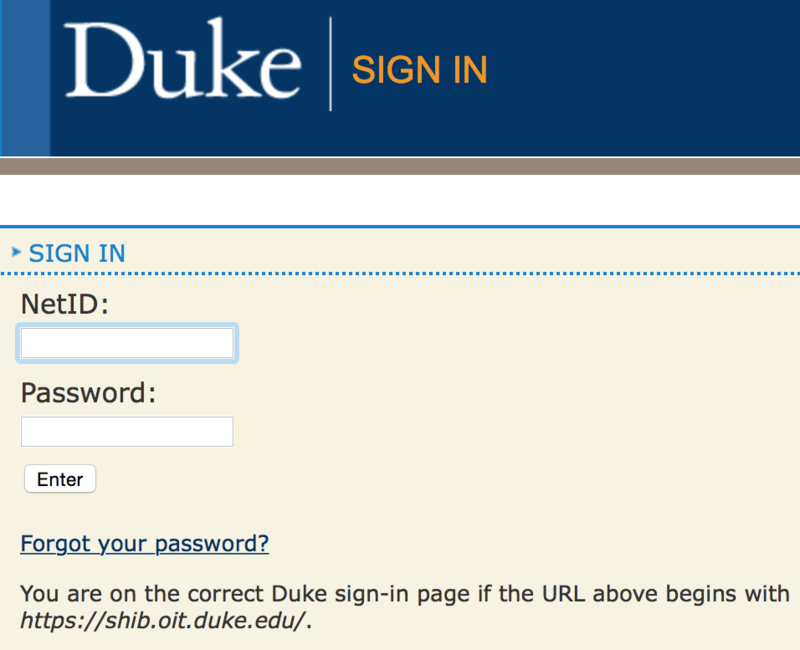 Do not enter your DukeNetID and password until you see the Duke Sign In Page. Locate a course you want to download in the Duke lynda.com online training library, click the View Offline button. 4. The person you invited can then accept or decline the meeting (as well as propose a new time, if they feel they should be in attendance and cannot make the proposed time). 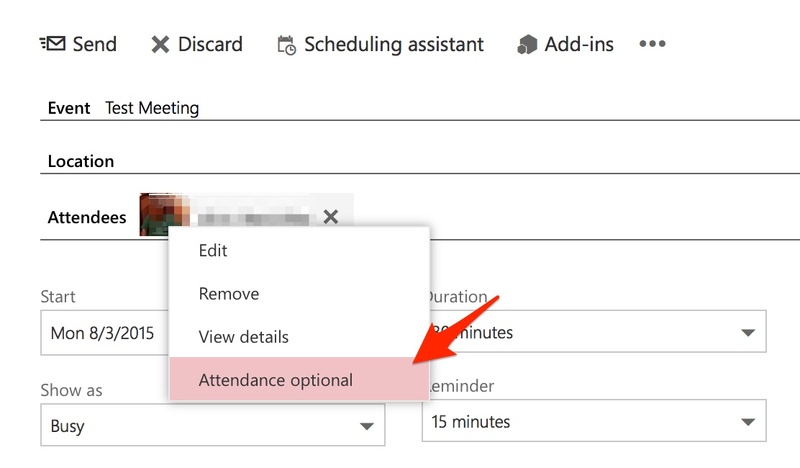 NOTE: When you pull up the meeting and click on attendees, those who are required will have the word required listed under their name and those who are optional will have the word optional listed under their name. Thanks to Erin Nettifee at the Link for this TechTips suggestion. Have a suggestion for a future TechTips email oit-training@duke.edu. Duke’s Qualtrics survey tool makes it easy for Duke faculty, staff and students to create surveys. Qualtrics also provides several ways to email or link to a survey. Check out this blog post for the step by step directions on how to embed a Qualtrics survey into Sites@Duke (Duke’s WordPress instance)!